The interpretation of the Iron Age in the Inner Syrdarya delta by S.P. Tolstov still dominates the discourse today, in which the region is regarded as a great agrarian state reliant upon its technologically advanced irrigation systems. In this model of the ancient state, fortified sites, characterised also by large surface areas, monumental structures and adjacent canals, are assumed to have been real urban centres (cities) from which the state could administer, defend, and store the agricultural surplus. Smaller sites were interpreted as towns or villages, and fortified buildings were thought to have been manor houses or farmsteads. This fitted into the Soviet socio-evolutionary framework of historical materialism, and provided a three- or four-tier settlement hierarchy, which tied into the idea of a great agrarian state [1; 2; 3] (Tolstov 1948; idem 1952; idem 1962). However, there was little analysis of the actual material culture and morphology of most of these sites. A handful was investigated (e.g. Chirik Rabat, Balandy, Babish Mulla), but there was no examination of how and why these sites were urban, or even a discussion about the particular nature of these Syrdarya “cities”. Several notable scholars have questioned the “urban” appellation given to the Khorezmian and Syrdarya walled sites. H.-P. Francfort, in his 1979 thesis on the fortifications of Central Asia, concluded that these walled sites were fortress-refuges rather than cities due to the fact that there were very few structures, mainly residential, in their intra-mural areas  (Francfort 1979). S. Helms pointed out that: “The term ‘urban’ is very loosely used by S.P. Tolstov and his followers. It can be argued that none of the fortified sites in ancient Khorezm region [including the Syrdarya], was ‘urban’, from Kiuzeli-g’ir to Kazakl’i-yatkan and even Toprak-kala (Sultan-uiz-dag)” [5, p. 111] (Helms 2005). According to B.I. Vaynberg, “we do not know of even one Khorezmian city arising from this period” [6, p. 42] (Vaynberg 2004). E.E. Nerazik also appeared to have been frustrated by the lack of in-depth investigation into the nature of the large, walled sites in Khorezm [7, p. 255] (Nerazik 1981). In her study of the rural settlements and dwellings of ancient and early medieval Khorezm, Nerazik felt hampered by the assumption that the fortified sites were considered “urban”, whilst any archaeological features located outside them were conversely considered “rural”. Consequently, this scholar was constrained in the possible comparisons that could be drawn between the two because of the lack of information about the functions of the fortresses. She wrote: “What were these? Castles housing the nobility or state strongholds? Our idea of the society in question depends heavily on the answer”. S. Helms’ characterisation of the “vexing question of urbanism in Khorezm” is still pertinent. Tolstov’s interpretive model for Khorezm has essentially remained unchallenged, yet the archaeological evidence from the fortified sites does not fit this interpretation. More recent interpretations have followed in the vein of Tolstov’s main premise and have investigated the fortified sites from a military viewpoint only. Possibly the most substantive work was written by V.A. Lavrov in 1950 as an attempt to consider the urban planning of ancient Khorezmian sites  (Lavrov 1950). Several monographs presenting the fieldwork results from single sites, such as Toprak-kala, Koi-krylgan-kala and Chirik Rabat, provide invaluable detail and well-documented accounts of these sites, although they did not engage with the question of urbanism or the wider role of the site in the Khorezmian settlement system [9; 10; 11] (Nerazik and Rapoport (eds.) 1981; Tolstov and Vaynberg (eds.) 1967; Vaynberg, Levina 1993). Although Khozhaniyazov’s recent monograph on Khorezmian walled sites was extremely comprehensive, well researched and offered a significant contribution to the scholarship on ancient fortified sites, it failed to examine the sites from the anthropological perspective of urban theory  (Khozhaniyazov 2005). The focus was on military architecture and Khozhaniyazov worked within the existing interpretation established by Tolstov. Nerazik touched on the issue of urbanisation in Khorezm, but her main focus was more on late antiquity and the early medieval period. Her 1976 monograph on the unfortified settlement remains of antique and medieval Khorezm was a comprehensive and well-documented investigation of settlement in Khorezm. However, as she acknowledged, it was constrained to some degree by the lack of information about the intra-mural areas of the walled sites. Nevertheless, it forms an invaluable resource on sites and features that are no longer well preserved. In addition, there have been several small journal articles that discuss cities and urbanism in ancient Khorezm, but we would argue that none of them has done so in an in-depth fashion or from a theoretical point of view that differs from that of Tolstov or Khozhaniyazov. This work addresses this gap in the scholarship and provides an urban analysis in order to compare these sites against other ancient cities so as to better understand the nature of this particular settlement phenomenon. Tolstov’s established interpretation of the ancient kalas is discussed and the assumptions underlying this are questioned and examined. His theory that the Khorezmian kalas were nucleated urban settlements is based on three key assumptions: - 1) that fortified sites associated with canals caused the development of a complex, centralised, sedentary state; - 2) that sites found in an oasis location in Central Asia belonged to a settled and primarily agrarian population; and – 3) that large fortified sites were urban settlements. Then, these assumptions require revision because there is little archaeological evidence to indicate that these Iron Age and later fortified sites were urban settlements. The link between fortified sites, hydrological systems and the state is not obvious for ancient Central Asia, and an oasis location does not necessarily mean a primarily sedentary and agricultural society. According to P.L. Kohl, urbanism in ancient Eurasia has been under-interpreted  (Kohl 1984). While there are many ancient Central Asian sites that were clearly large nucleated population centres with diverse functions (e.g. Altin-depe, Namazga-depe, Ulug-depe, Gonur-depe and others), there are many sites within Central Asia that do not share these characteristics, for which urbanism has been challenged. Although urbanism should be regionally and temporally defined, a core set of features or traits is discernible in archaeological remains that can be regarded as markers for urbanism. A key attribute of all cities is that they were permanent, nucleated settlements. We have identified a set of regional urban traits for ancient Central Asia as – 1) sites with areas of more than 15ha, - being fortified, - 2) having a high density of intra-mural buildings, - 3) with a diversity of building types, and – 4) being a nexus for specialised services and key political, religious, or mercantile activities. Although there were fortified sites of sufficient size that appeared to have some specialised functions, mostly associated with elites or ritual/ceremonial activities, they lacked a medium- to high-density of intra- mural buildings and permanent housing precincts. A key urban characteristic is having evidence of a large, concentrated and permanent population, and this thesis contends that this was a major attribute missing from the Syrdarya fortified sites. There was little evidence of habitation within most of the larger sites. Yet these sites were clearly important monumentalised venues for socio-political or economic activities. Settlement evidence was most commonly found in open, unfortified, very low-density settlements of small mud houses or farmsteads dispersed in linear zones along water supply canals. Nucleated settlement was rarely found within fortified sites. Agricultural fields, vineyards and possibly also orchards and cattle corrals were associated with these open settlements. Fortified enclosures or buildings were found in some, but not all, of these settlements. The occupation evidence across all types of sites was commonly episodic and of short duration. There were few major planning changes to sites, although re-occupation phases involved the renovation or reconstruction of architecture with internal planning changes to buildings and rooms. Production sites, canals and settlement sites also show this episodic occupation. There were many examples of single period sites, in particular production sites that appear to have been from single events. The Chirik Rabat archaeological complex will be considered in some detail to exemplify the de-centralised, low-density and episodic character of the ancient Syrdarya settlement zone. The major site of Chirik Rabat has been identified in the urban analyses as a key fortified enclosure site of large size that has evidence of elite ceremonial activities in monumental architecture, yet little is known about the layout of the intra-mural areas due to heavy sand coverage. Chirik Rabat is a site of oval shape and more than 40 ha. in size (ca. 850 x 600 m), on the left bank of the Zhanadarya river bed, which gives its name to the homonymous archaeological culture which developed in the mesopotamia between the Zhanadarya and the Inkardarya in the second half of the 1st mill. B.C. The site itself presents a first phase of occupation, characterised by a Saka cultural assemblage, dating from the end of the 5th to the end of the 3rd centuries B.C., and a second one, with a mediaeval cultural assemblage, dating from the 9-10th to the end of the 12th cent. A.D. [14; 11] (Vaynberg, Levina 1992; iidem 1993). Enclosed by two outer fortification walls and a 40 m wide and 4.5 m deep moat, Chirik Rabat was provided by a third earth wall of almost rectangular shape, built in the central part of the site, enclosing the main citadel. Numerous funerary structures, i.e. mud-brick mausoleums built on the surface, underground barrows and shaft-pit tombs occupied the central area of this site. The correct number of the Iron Age funerary structures is not known, because the surface has been modified later in the mediaeval period, and today is completely covered by thick saksaul vegetation. In fact, some new funerary structures have been discovered and already excavated by the members of the ChRAE (Chrik Rabat Archaeological Expedition). The most important archaeological evidences at Chirik Rabat are represented by underground and surface funerary buildings. Ju.A. Rapoport, of the KhAEE (Khoresmian Archaeological-Ethnographical Expedition), excavated between the 1957 and 1960, a very large underground funerary barrow (about 60 m in diameter and 3.5 m high) located in the north-eastern part of the site. Unfortunately it was already plundered [15, pp. 131-132; 16, pp. 73-74; 3, pp. 139-144; 17, pp. 53-56] (Tolstov 1961a: 131 – 132; 1961b: 73 – 74; 1962: 139 – 144; Tolstov et al. 1963: 53 – 56). Two surface mausolea, respectively circular in plan and rectangular, were excavated respectively by S.A. Trudnovskaja and V.A. Lokhoviz, of the KhAEE [18; 3, pp. 150-151; 19] (Trudnovskaja 1963; Tolstov 1962: 150 - 151; Lokhoviz 1963), while in the last years another rectangular-shaped mausoleum has been completely excavated by Zh. Utubaev, A. Tazhekeev and R. Darmenov, of the ChRAE. This rectangular mausoleum shares some architectural features and the location at the foot of the three main kurgans (north-east of them) with the Lokhoviz's burial edifice. Unfortunately robbed at least three times in the past, the burial chamber contained some fragments of two marble vessel (alabastron) inscribed with the same old Greek writing composed by two words of, respectively, one and four letters: Α on the first stroke (of difficult interpretation, possibly it refers to an indication of quantity or quality) and ΚΑΣΙ on the second stroke (Cassia, a fragrant spice made from the bark of trees usually used for funerary purposes). Then, it can be assumed that these two alabastron found at Chirik Rabat are possibly the evidences of cultural interactions of the pastoralist tribes of the inner Syrdarya delta with Near Eastern or Iranic peoples in the course of the 1st millennium BC. Possibly, the two marble vessels can be regarded as diplomatic gifts of the Achaemenids for the Saka prince or ruler in order to establish a political alliance, an economic or military agreement or to seal a marriage. Other funerary burials have been excavated by the ChRAE in the last ten years. Among many others, it must be noticed an oval, large and very deep grave with two funerary niches excavated in 2004 – 2005. The western niche resulted to be completely plundered, while the eastern despite it was robbed too, allowed to find three human skeletons at a depth of more than 3.5 m from the today surface ground. While two skeletons were curiously buried one above the other, the third was isolated and furnished with a 1 m long iron sword with a wooden ornamented handle, an iron knife, some bronze decorative belt plaques, some hemispherical gold beads, a clay incense burner, a wooden vessel and a clay vessel (a sort of water bottle) inscribed with seven signs and letters of very difficult interpretation and reading. One of the signs, the first to the left, could be interpreted as a potter's mark . Remains of wool rugs, decorated by small tubular-shaped golden beads, have been found below the warrior's skeleton. The large funerary barrow located in the northern sector of the site, beyond the internal defensive wall, was the object of a four-years excavation (2004 – 2007) headed by A. Iskakov. Having a diameter of more than 80 m and a height of 3 m above the surrounding plain, this funerary construction resulted to be already plundered. The burial chamber was found at 4 m deep in the bedrock. It was connected to a dromos, 3 m wide and more than 12 m long, facing south-east. Very few human and animal osteological remains were recovered, as well as some wheel- and hand-made pottery sherds. The filling of the kurgan was damaged by numerous mediaeval graves. On the opposite bank of the Zhanadarya river, ca. 400 m from the right bank, the settlement of Chirik Rabat 3 (108 x 122 m) was fortified by a 3 m wall, characterised by 1.3 m high triangular loopholes opened each 2 m along every side of the walled settlement. Unfortunately, this monument lies today in very bad conditions of preservation. However, these recent investigations did not identify any features consistent with domestic habitation quarters, production or mercantile activity areas or permanent settlement within the site. Areas outside the fortified enclosures were also included in the exploration and extensive pedestrian survey. The results from the pedestrian surveys within and around Chirik Rabat demonstrates that there was clear evidence of domestic occupation, non-monumental structures, hydrological systems and production activities outside the enclosures in a very low-density, de-centralised settlement pattern. This suggests that, although the archaeological features were not well preserved and were only partially exposed, material remains of settlement were relatively easy to find within the environs of the fortified site close to a water supply canal or watercourse, whereas such remains were not able to be identified at all from within the fortified enclosure site. The vegetational coverage (saksaul) over the enclosures of Chirik Rabat makes it difficult to conclusively say whether this site was an urban centre or not. The urban analysis suggests that extensive intra-mural habitation areas or a high density of buildings would be very unusual for the ancient Syrdarya settlement pattern. Large, fortified enclosure sites characteristically contained a smaller citadel or primary enclosure with monumental building that was associated with elites, whilst the large, secondary enclosure was devoid of built structures and appears to have functioned as a refuge and secure cattle corral for agro-pastoral populations. Other functions may have included use as venues for secure administrative, ceremonial, martial or mercantile events. The results of new archaeological prospection surveys, geophysical surveys and remote sensing of the major site of Chirik Rabat and regional surveys of the Inner Syrdarya [20; 21; 22; 23; 24; 25; 26; 27; 28; 29] (Kurmankulov, Utubaev 2011; Kurmankulov et al. 2005; Kurmankulov et al. 2006; Kurmankulov et al. 2007; Kurmankulov et al. 2008; Kurmankulov et al. 2009a; Kurmankulov et al. 2009b; Kurmankulov et al. 2010; Kurmankulov et al. 2011; Tazhekeev 2013) demonstrates that the fortified sites were not urban population centres, as understood for the Near East, China and other areas of Central Asia. The new archaeological investigations undertaken at Chirik Rabat did not identify domestic habitation areas within the enclosures. Instead, domestic occupation areas were found outside the enclosures, and metallurgical production evidence was identified in both intra-mural and extra-mural locations. This fits with the spatial and temporal analyses of the surrounding delta presented here. These show that settlements most commonly occurred in unfortified, low-density, non-nucleated settlement zones extended along water supply canals or river channels, rather than within fortified sites. Settlements were small, dispersed and had limited sedentary populations, which implies that a significant proportion of the population would have been mobile. The lack of permanent settlement evidence from the fortified enclosure sites suggests other functions for these types of sites and an alternative urban and settlement model is proposed here. The settlement process that occurred in the Khorezm oasis was not one of urbanisation, or centralisation. This non-nucleated settlement pattern can be seen elsewhere in Central Asia and wider Eurasia. It was associated with agro-pastoral groups and itinerant ruling elites in pre-Hellenistic Central Asian oases, mobile steppe polities and Achaemenid Iran. The comparative analysis suggests that the Syrdarya settlement system was part of a wider Eurasian settlement adaptation that was the result of regional cultural, socio-economic and environmental conditions. The Syrdarya fortified enclosure sites were key installations in the political landscape of ancient agro-pastoral mobile polities. Centralised, sedentary settlement strategies are not the only possible ways to inhabit an oasis, and that the cultural groups inhabiting this area were very diverse and employed multiple subsistence strategies. The harsh environmental conditions of Central Asia require highly versatile and adaptable modes of habitation, subsistence and production. These large, monumentalised, fortified sites were also built in Mongolia and Iran, and they have been interpreted as regal administrative centres for itinerant ruling elites [30; 31; 32; 33; 34] (Honeychurch and Amartuvshin 2006; 2007; Houle and Broderick 2011; Wright 2007; Wright, Honeychurch, and Amartuvshin 2007; 2009). The political, administrative, services and mercantile activities moved across the landscape with the highly mobile elite, drawing local populations for seasonal periods or events, before dispersing again as the court moved on. The thesis concludes by returning to the question of urbanism and the political structure of ancient Syrdarya. The large, fortified enclosure sites were not permanent population centres, nor did they provide diverse services to a wider hinterland. Therefore they were not cities. These large, fortified sites were, however, specialised sites as venues for a range of activities, including trade, refuge, itinerant tented habitations, elite residences, regal centres, martial events and ceremonial or ritual events. It is proposed here that some Syrdarya sites, like Chirik Rabat, fulfilled a similar role to that of the Achaemenid royal centres or the regal centres of the Xiong-nu as key, symbolic venues for display, administrative and ceremonial activities associated with ruling elites. In this sense, the more elaborate fortified sites were ceremonial centres with important political functions. Although they were not cities, they were key socio-political installations and constitute a variation of urbanism that was akin to the “steppe urban centres” identified for the Xiongnu and Uighur nomadic empires. The Syrdarya system may have been similar to that of the Achaemenids and steppe mobile states such as the Xiong-nu, Kang-kü and Kushans. These polities were structured with a ruling head of state (or shared kingship) and administrative control was exercised via a succession of local elites (hyparchs, khans etc.) with connections to tribal kinship groups. This kind of weakly centralised political structure is highly ceremonial and reliant upon status symbols, like monumental architecture and prestige goods. This discussion concludes that ancient Syrdarya was an agro-pastoral polity employing mobile and highly adaptable subsistence and settlement strategies, the equivalent of an early complex state. It had strong connections to the Achaemenid Iranian world but also to the Eurasian steppe cultural sphere. The early medieval Kitan and Uighur Mongolian sites do form a type of Eurasian steppe urbanism, by virtue of their large sizes, monumentality, public spaces, pre-determined and purposive design and because they do fulfill almost all of the criteria of the Central Asian urban definition – the exception being that their population was not permanent. In this sense they are similar to the Achaemenid capitals of Persepolis and Susa, and arguably the K’ang-kü sites in Sogdia like Kala-i Zakhoki Maron, being formalised facilities for an itinerant, ruling elite. The impermanency and mobility of the population is important, but it does not nullify the status of these sites as key installations in the socio-political landscape. The term “steppe urban centres”, “regal centres” or even “nomad cities” seems appropriate to describe this variation of urbanism. The site layouts may have been ideological and highly symbolic. The formulaic style of the architecture may have been used because it was considered culturally appropriate rather being purely functional. Although the walled sites had clear defensive functions, they also had symbolic and social functions that were of equal importance, especially for some of the larger enclosure sites, such as Chirik Rabat, Babish Mulla, Balandy and Sengir Tam of the Iron Age, Kzil Kainar Tobe in Semirech'e of the 3rd - 4th cent AD and Bozok of the Mediaeval period. These monumental sites were highly visible and characterised by enduring landscape features that symbolised power, strength, wealth, tenure and identity. The restricted and monitored site access, the conservative architectural style and the presence of ceremonial, mainly funerary, intra-mural features suggest that some sites were specialised venues for elite activities. The study provides then a settlement context for the fortified sites that does not assume them to have been the product of a sedentary state. This settlement system was non-nucleated, very low in density, extensive and de-centralised. Dwellings, farmsteads and other facilities were located in low-density bands along water courses, either artificial supply canals, or river channels. Activities and sites were spread out around the micro-oases formed along the canals or river branches. Rather than being exclusively settled, it will be argued that the archaeological evidence suggests a mobile population with the ability to travel quickly and easily to different locations around the delta. Then, this paper provides a new and alternative interpretation, definition and characterisation of urbanism and settlement pattern in Kazakhstan from the Iron Age onwards, with peculiar reference to the meaning and function of fortified enclosure sites widespread in different ecotones (steppe, desert-steppe and oasis) and in different historical periods. The outcome of the author's investigations and analyses is a re-framing of the walled sites as specialised sites (elites or regal centres) within a non-nucleated, not-permanent and low-density agro-pastoral or mobile settlement system. But is this urbanism? A key finding of this study, supported by the preceding analysis is that “urban” is not an appropriate term for these sites. Given the lack of permanent settlement and multiple functions at these sites it would be misleading to use the “city” or “urban settlement” in reference to them. Yet the specialised nature, monumentality and scale of sites such as Chirik Rabat are clearly agro-pastoral variations on urbanism. Finding an appropriate term for this kind of site is difficult. Although the term “steppe urbanism” as used for the Mongolian sites is evocative of the different character of these sites, it is confusing or inappropriate for Syrdarya and other oases that are not located in the steppe. Others have used the term “proto-urban” for ancient Central Asian sites with similar characteristics [35; 36, p. 83; 37, pp. 156-157] (Askarov 1992; Gardin 1995: 83; Zadneprovsky 1995: 156-157), however, this implies that they are part of an early stage of urban development and it has been shown that urbanism and sedentarisation processes in Eurasia are non-linear and do not conform to neo-evolutionary frameworks [38, pp. 22-23; 39, p. 264; 40, pp. 10-15; 41, pp. 72-73; 42, pp. 278-279] (Baker Brite 2011: 22-23; Boucharlat 2001: 264; Kohl 2007: 10-15; Tosi 1973: 72-73; Vogelsang 1992: 278- 279). “Cultural centre” and “ceremonial centre” and “regal-ritual centre” are other terms that have been used to label sites that also do not fit easily into the urban settlement definition . The problem with applying these terms to the Syrdarya and other similar Eurasian sites is that the use of the word “centre” seems inappropriate since the settlement pattern is distinctly de-centralised. A. Rapoport identified two types of capital cities or centres: the more common one was compact, where the central enclave of the capital formed part of a nucleated settlement; the second type was dispersed with a monumental enclave stood alone and any settlement was very low in density and spread out extensively around it. Rapoport stressed the symbolic nature and ceremonial function of pre-modern capitals and that ceremonial centres or sacred enclaves were first and foremost political in function and were crucial in organizing territory of semi-nomadic groups and empires [44, pp. 39, 45-49] (A. Rapoport 1993: 39, 45-49). In this sense, the term “capital” is highly relevant and I suggest that the terms “regal capital” or “nomad capital” could be used to describe the large fortified enclosure of Khorezm and other areas of Inner Eurasia. 1. Tolstov 1948 = S.P. Tolstov, Drevnyy Khorezm, Moskva, 1948. 2. Tolstov 1952 = S.P. Tolstov, Khorezmiyskaja arkheologo-etnograficheskaja ekspedizija AN SSSR (1945 – 1949 gg. ), TKhE (Trudy Khorezmskoy Ekspedizii) I, Moskva, 1952. 3. Tolstov 1962 = S.P. Tolstov, Po drevnim del’tam Oksa i Jaksarta, Moskva, Vostochnaja Literatura, 1962. 4. Francfort, H.-P. 1979. Les fortifications en Asie Centrale de l'age du Bronze a l'epoque Kouchane. Paris: CNRS. 5. Helms, S. 2005. "Preface". In G. Khozhaniyazov (ed.) The Military Architecture of Ancient Chorasmia (6th century BC - 4th century AD). Paris: De Boccard: 8-16. 6. Vaynberg, V.I. 2004. Kalaly-gyr 2: kultovyi tsentr v Drevnem Khorezme IV-II vv. do n.e. Moscow: Vostochnaya Literatura. 7. Nerazik, E.E. 1981. "K probleme razvitiya gorodov Khorezma". In M.A. Itina, I.A. Rapoport, N.S. Sycheva and B.I. Vainberg (eds.) Kul'tura i iskusstvo drevnevo Khorezma. Moscow: Nauka: 219- 227. 8. Lavrov, V. A. 1950. Gradostroitel'naya kul'tura Srednei Azii. Moscow: State Publishing House, Architecture and Urban Planning. 9. Nerazik, E.E., and I.A. Rapoport (eds.) 1981. Gorodishche Toprak-kala (Raskopki 1965-1975 g.g. ), Trud'i Khorezmskoi Arkheologo-Etnograficheskoi Ekspeditsii XII. Moscow: Nauka. 10. Tolstov, S.P. and B.I. Vaynberg (eds.) 1967. 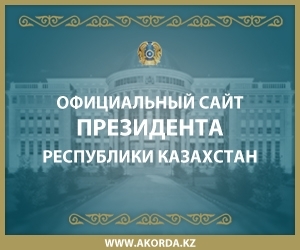 Koi-Krylgan-kala - Pamyatnik kul'tury drevnego Khorezma IV v. do. n.e. - IV v.n.e. Trudy Khorezmskoi Arkheologo- Etnograficheskoi Ekspeditsii V. Moscow: Nauka. 11. Vaynberg, Levina 1993 = B.I. Vaynberg, L.M. Levina, Chirikrabatskaja kul'tura, Nizov'ja Syrdar'i v Drevnosti, Vyp. 1, Moskva 1993. 12. Khozhaniyazov, G. 2005. The Military Architecture of Ancient Chorasmia (6th century B.C. - 4th century A.D.). Translated by S. W. Helms, Persika 7. Paris: De Boccard. 13. Kohl, P.L. 1984. Central Asia Palaeolithic beginnings to the Iron Age. L'Asie centrale des origines a l'age du fer, Synthèse (Editions Recherche sur les civilisations), no 14. Paris: Editions Recherche sur les civilisations. 14. Vaynberg, Levina 1992 = B.I. Vaynberg, L.M. Levina, “Chirikrabatskaja kul’tura”, Arkheologija SSSR. Stepnaja polosa aziatskoy chasti SSSR v skifo-sarmatskoe vremja, Moskva, 47 - 60. 15. Tolstov 1961a = S.P. Tolstov, “Priaral'skie Skify i Khorezm”, Sovietskaja Etnografija, 4, 114 – 146. 16. Tolstov 1961b = S.P. Tolstov, “Les Scythes de l’Aral et le Khorezm”, Iranica Antiqua, 1, 42 – 92. 17. Tolstov et al. 1963 = S.P. Tolstov, T.A. Zhdanko, M.A. Itina, Raboty Khorezmskoy arkheologo-etnograficheskoy ekspedizii v 1958 – 1961 gg., MkhE, VI, chast' I, Moskva, 1963. 18. Trudnovskaja 1963 = S.A. Trudnovskaja, Krugloe pogrebal'noe sooruzhenie na gorodische Chirik-rabat, MKhE VI, chast' I, Moskva 1963. 19. Lokhoviz 1963 = V.A. Lokhoviz, Raskopki kvatratnogo pogrebal'nogo sooruzhenija na gorodische Chirik-rabat, MkhE, VI, chast' I, Moskva, 1963. 20. Kurmankulov, Utubaev 2011 = Zh.K. Kurmankulov, Zh. Utubaev, Balandy (Bylandy) – Pamjatnik antichnosti, Almaty, 2013. 21. Kurmankulov et al. 2005 = Zh.K. Kurmankulov, A. Birmukhanova, Zh. Kalieva and Zh. Utubaev, “Arkheologicheskie issledovanija na gorodische Chirik Rabat i v ego okrestnostjakh”, Arkheologijalyk Zertteuler Zhayly Esep 2004, Almaty, 2005, 152 – 156. 22. Kurmankulov et al. 2006 = Zh.K. Kurmankulov, Zh. Zhetibaev, Zh. Utubaev, D. Baytileu and A. Iskakov, “Arkheologicheskie issledovanija pamjatnika Chirik Rabat i prilegajuschikh rayonov”, Arkheologijalyk Zertteuler Zhayly Esep 2005, Almaty, 2006, 249 – 251. 23. Kurmankulov et al. 2007 = Zh.K. Kurmankulov, Zh. Zhetibaev, Zh. Utubaev and A. Iskakov, “Arkheologicheskie issledovanija pamjatnikov gorodischa Chirik Rabat”, Arkheologijalyk Zertteuler Zhayly Esep 2006, Almaty, 2007, 135 – 137. 24. Kurmankulov et al. 2008 = Zh.K. Kurmankulov, S. Bolelov, Zh. Zhetibaev, Zh. Utubaev, “Issledovanija na ukreplennoy usad'be Balandy 1 v 2007 godu”, Otchet ob arkheologicheskikh issledovanijakh po Gosudarstvennom programme “Kul'turnoe nasledie” v 2007 g., Almaty, 2008: 230 – 234. 25. Kurmankulov et al. 2009a = Zh.K. Kurmankulov, Zh. Zhetibaev, Zh. Utubaev, R. Darmenov, A. Tazhekeev, “Arkheologicheskie issledovanija na ukreplennoy usad'be Balandy 1 i v ee okrestnostjakh v 2008 godu”, Otchet ob arkheologicheskikh issledovanijakh po Gosudarstvennom programme “Kul'turnoe nasledie” v 2008 g., Almaty, 2009: 202 – 203. 26. Kurmankulov et al. 2009b = Zh.K. Kurmankulov, S. Bolelov, Zh. Zhetibaev, Zh. Utubaev, “Ob arkheologicheskikh issledovanijakh na gorodishche Balandy v 2007-2008 gg.”, Mezhdunarodnoy nauchno-prakticheskoy konferenzii “Vklad uchenykh KazNU im. al'-Farabi v realizaziju programmy “Kul'turnoe nasledie”: dostizhenija i perspektivy razvitija”, Almaty, 2009: 35 - 38. 27. Kurmankulov et al. 2010 = Zh.K. Kurmankulov, Zh. Zhetibaev, Zh. Utubaev, “Itogi arkheologicheskikh rabot na mavzolee “Mynaral” Balandiskogo kompleksa”, Otchet ob arkheologicheskikh issledovanijakh po Gosudarstvennom programme “Kul'turnoe nasledie” v 2009 g., Almaty, 2010: 213 – 214. 28. Kurmankulov et al. 2011 = Zh.K. Kurmankulov, Zh. Zhetibaev, Zh. Utubaev, R. Darmenov, A. Tazhekeev, “Arkheologicheskie issledovanija na ukreplennoy usad'be Balandy 1 i v ee okrestnostjakh v 2010 godu”, Otchet ob arkheologicheskikh issledovanijakh po Gosudarstvennom programme “Kul'turnoe nasledie” v 2010 g., Almaty, 2011: 34 - 36. 29. 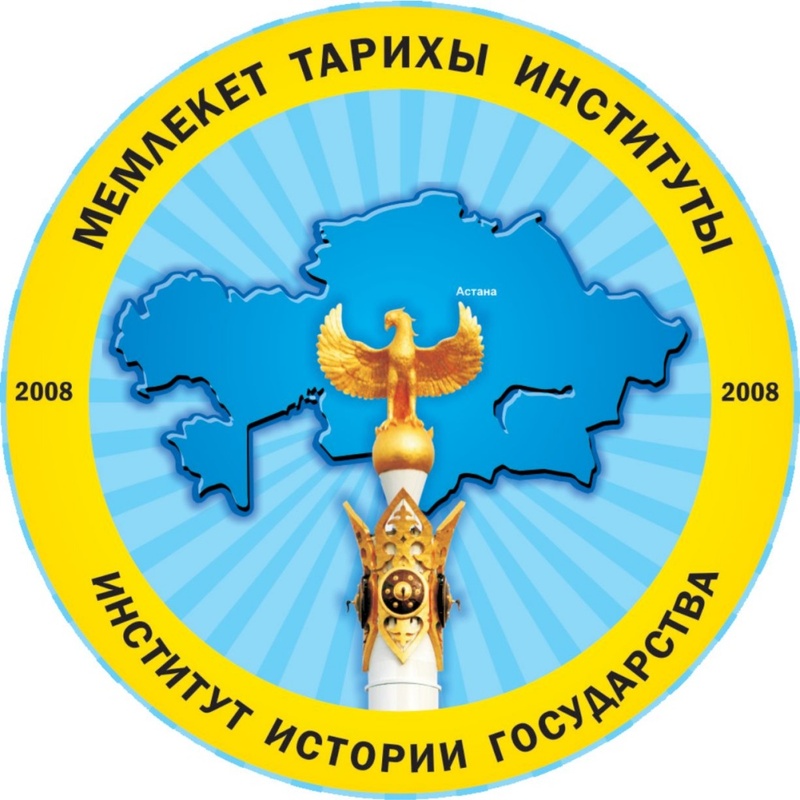 Tazhekeev 2013 = A.A. Tazhekeev, “Istorija obvodnenija juzhnykh protokov nizhney Syrdar'i po arkheologicheskim dannym. Zhadar'ja”. In A. Ongar et al. (eds.) Trudy filiala Instituta arkheologii in. A.Kh. Margulana v gorode Astana, Tom II, Astana, 2103: 65 – 72. 30. Honeychurch, W., and C. Amartuvshin. 2006. "Survey and Settlement in Northern Mongolia: the structure of inter-regional nomadic organisation". In D.L. Peterson, L.M. Popova and A.T. Smith (eds.) Beyond the Steppe and the Sown: proceedings of the 2002 University of Chicago Conference on Eurasian archaeology. Leiden; Boston: Brill: 183-201. 31. Houle, J.-L., and L. G. Broderick. 2011. "Settlement Patterns and Domestic Economy of the Xiongnu in Khanui Valley, Mongolia". In U. Brosseder and B.K. Miller (eds.) Xiongnu Archaeology: multidisciplinary perspectives on the first steppe empire. Bonn: Vor-und Frühgeschichtliche Archäologie, Rheinische Friedrich-Wilhelms-Universität Bonn: 137-152. 35. Askarov, A. 1992. "The Beginnings of the Iron Age in Transoxiana". In A.H. Dani and V.M. Masson (eds.) History of Civilisations of Central Asia. Vol.I. The dawn of civilisation: earliest times to 700 B.C., Paris: UNESCO Publications: 441-458. 36. Gardin, J.-C. 1995. "Fortified sites of eastern Bactria (Afghanistan) in Pre-Hellenistic times.". In A. Invernizzi (ed.) the Land of the Gryphons: Papers on Central Asian archaeology in antiquity, Firenze: Casa Editrice: 83-103. 37. Zadneprovsky, Y. 1995. "Early Urban Developments in Central Asia". Iran 33: 155-159. 38. Baker Brite, E. 2011. The Archaeology of the Aral Sea Crisis: Environmental Change and Human Adaptation in the Khorezm Region of Uzbekistan ca. AD 300-800, Department of Anthropology, University of California, Los Angeles. 39. Boucharlat, R. 2001. "Kazakhstan - Habitat et modes de vie au Semirech'e dans l'Antiquite (Mission archeologique française en Asie centrale) ". Cahiers d'Asie Centrale 9: 261-264. 40. Kohl, P.L. 2007 The Making of Bronze Age Eurasia. Cambridge, UK; New York: Cambridge University Press. 41. Tosi, M. 1973. "The Northestern Frontier of the Ancient Near East". Mesopotamia 3-9: 21-76. 42. Vogelsang, W.J. 1992. The Rise and Organisation of the Achaemenid Empire : The eastern Iranian evidence. Edited by M. H. E. Weippert, Studies in History of the Ancient Near East Vol.III. Leiden ; New York; Koln: Brill. 43. Holt, J. Z. 2009. "Rethinking the Ramey State". American Antiquity 74 (2): 231-254. 44. Rapoport, A. 1993. "On the Nature of Capitals and their Physical Expression". In J. Talyor, J.G. Lengellé and C. Andrew (eds.) Capital Cities: International Perspectives. Ottawa: Carleton University Press: 31-67. 45. Fox, R. G. 1977. Urban Anthropology: cities in their cultural settings. Englewood Cliffs (N.J.): Prentice- Hill. 46. Tuan, Y.-F. 1990  Topophilia: A Study of Environmental Perception, Attitudes and Values. New York: Colombia University Press.